You may want to have your exhaust system changed for many different reasons, but right now it's definitely the best time to act! Our immense selection of custom Gibson exhausts will help you to get the most out of your vehicle. Each Gibson system is available in stainless steel and aluminized steel variants for maximum durability and designed to give you a deep growling sound. Make your order till December 31, 2018, and get an additional 10% discount. Don't miss your chance to save! If any questions appear - please let me know in the comments below, PM or call directly 800-505-3274! 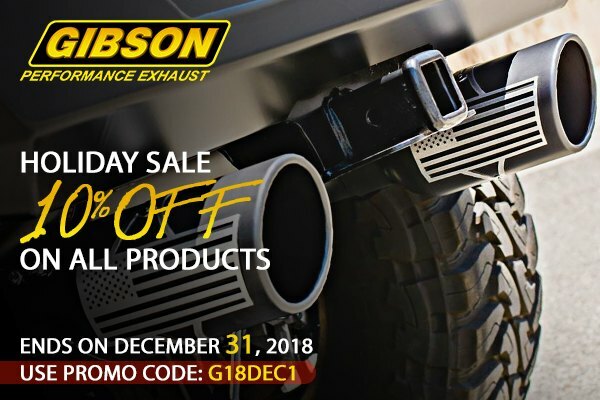 Quick Reply: Gibson Exhausts on Sale at CARiD.com - Up to 10% Off!